We all have those classmates. The ones who disappear into the EWBIS block for a few hours at a time, two or three times a week, maybe more. We see them in the canteen at six pm, drinking murky protein shakes, muscles clearly defined under sleeves, sitting around talking about hyphy mud and 90kg cleans. The things we hear and the sights we see conjure a formidable stereotype in the eyes of the ‘mundane crowd’: that of the Raffles gymmer. Only sportspeople go to the gym. False. However, it is a fact that gym regulars largely consist of those in a sports CCA. Though there are quite a number of non-athletes who go to the gym to keep up their personal fitness, and they are as welcome there as any of their athlete friends. Some sports CCAs have mandatory gym training. True. Achieving excellence in any sport requires a solid foundation of physical strength, and gymming as a CCA is a good way for a team to keep in shape and move forward together. CCAs like track and rugby have gym sessions as part of their regular training, whether explicitly scheduled or on an ‘expected-to-go’ basis. Canoe has a mandatory gym session at least once a week, with different workouts designed to enhance different skill sets essential to the sport. “Basically for canoe it’s technique first and strength complements your technique,” says Edison Goh, captain of the boys’ canoe team. “Gymming is useful to the sport.”However, working out at the gym is not the only way to build muscle and strength. Many sports CCAs like floorball, water polo and even physically-demanding performing arts like street dance have physical training (PT) sessions as part of their normal training schedule, using bodyweight exercises like dips, push-ups and planks to condition themselves. There are girls who go to the gym too. Definitely true, and from a range of CCAs to boot. I have seen girls from Ultimate, basketball, judo, floorball and archery in the gym, and also the occasional non-athlete. Some gym sporadically while others are regulars, just like the boys. Girls are no rare sight in the RI (Year 5-6) gym, and some do advanced workouts that the boys do as well. There is a ‘noob corner’ in the gym. No! There is no specific corner for ‘noobs’ or ‘pros’ in the gym. How can there be when everyone has to use the same machines anyway? There are simply separate areas allocated for different workouts in the gym for organisation and convenience. Understandably, the area for free weights1 and weightlifting may be intimidating, with advanced gymmers grunting during strenuous bicep curls and doing squats with fifty to a hundred kilos on their shoulders. “People might be scared away because crashing weights in the gym is a regular thing,” laughs a regular.On the other hand, the open areas for matwork and beginner exercises by the cardio machines (which are blocked from viewers at the entrance by pillars and machines) are where newbies seem to feel the most comfortable. Perhaps for this reason it is sometimes referred to as the ‘noob corner’ and mostly by the newbie gymmers themselves, in a lighthearted manner. People get judged when they make mistakes or seem unsure in the gym. Runway is more inclined to accept sculpted boys and toned girls as models. Boys (and girls) feel good when their body looks good. And the most commonly-held belief: Boys gym to impress girls. FUN FACT: Gyms and gymnasiums are actually two separate facilities! What we commonly refer to as gyms are professionally called fitness centres, and gymnasiums are buildings or rooms designed for indoor sports, exercise or physical education, much like our Indoor Sports Hall and the RI Gymnasium. The word gymnasium is Greek for “a place to be naked”. Exercise was customarily performed without clothes in ancient Greece. The gym may appear intimidating at first glance, with the unfamiliar machines and seemingly complex workout routines. Athletes generally find it easier to make that first step into the gym, with batchmates to fall back on for advice and usually a recommended workout plan from their CCAs. There are always non-athletes in the gym too, for their variety of reasons like personal fitness, and improving that one weak area in NAPFA tests. There are plenty of others, I’m sure, who share her sentiments but simply do not dare or know how to start. Well, the gym is for everyone; just arm yourself with a towel, a bottle, a quick bite of gym knowledge and a heartful of confidence and the space is yours! For those who are a little nervous venturing into unknown territory, here’s a quick tour of the RI (Year 5-6) gym. The entrance to the gym is in the middle of Block L, the EWBIS block where the MPH is situated, opposite the toilet entrances and water cooler near the vending machines. Positioned at the entrance, you will have machines for the upper body (arms, chest) on the left, lower body (leg) machines on the right. At the back are the cardio machines to the left (treadmills, stationary bikes, rowing machines, elliptical trainers), and free weights to the right. In the centre of the gym are the cable machines and open spaces for matwork2. Mats are found directly beside the entrance, next to the cubicles to place your bags and clothes. Keeping fit does not purely come about from the resistance training3 that weights and machines provide. Cardiovascular workouts like running, cycling and swimming, as well as bodyweight exercises4 like crunches, leg raises, push-ups and planks are also important for beginners. However, gymming is an advisable complement to regular exercise, with technological advancements in fitness that have greatly optimised the effectiveness of machines in upping strength and endurance. I had a quick chat with RI (Year 5-6)’s resident gym instructor, as well as a few gym regulars to come up with a few recommendations for newbies seeking to start a serious gym routine. All information and recommendations on exercise and the gym come from professional sources (chiefly the gym instructor and further corroborated with material from reliable websites). Tips are provided by either the mentioned professionals or experienced gymmers. It is best to condition yourselves first and foremost, with cardiovascular workouts, bodyweight exercises and matwork. Learn to use the weights and machines from experienced friends or from the gym instructor. Start slow and take note of what you do each time at the gym, then slowly build up your routine as you get accustomed to the machines and weights. An example of a workout plan, these can easily be found online! (Sit-ups) Core stability and abdominal strength is essential in conquering sit-ups. Do plenty of crunches, planks and leg-raises, and on a regular basis. (Pull-ups/Chin-ups) Doing practice pull-ups either at the IPU stations or at the chin-up bars will definitely help. For chin-ups, train with elastic bands if you can’t do at least 10 without. 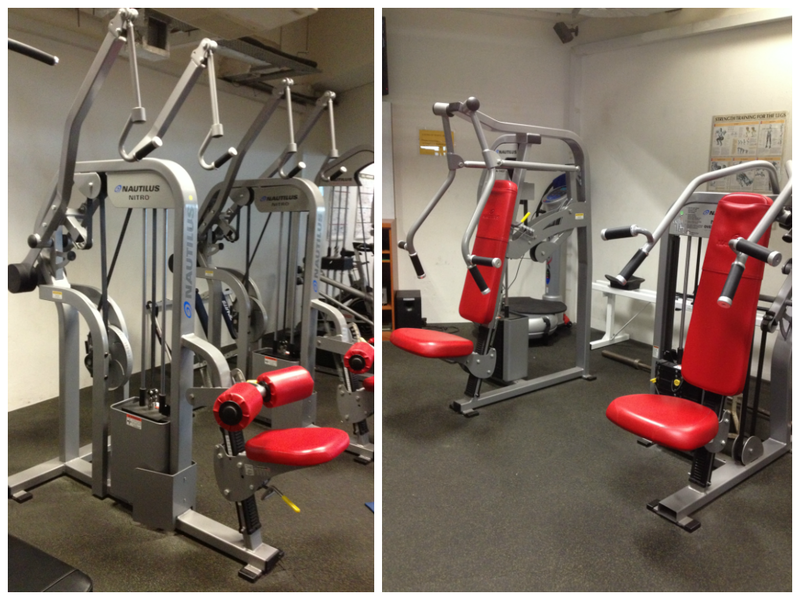 There is also an assisted pull-up machine in the gym, where weights can be used to offset your body weight. For boys especially, this machine can be used to help you build strength until you can do chin-ups without any more assistance. Inclined pull-ups and chin-ups mostly involve your triceps, biceps and shoulders, and the former two can be easily trained with free weights. As for machines, the lat pulldown and shoulder press would be of help. Start with a weight that you are comfortable with5, then slowly build it up! 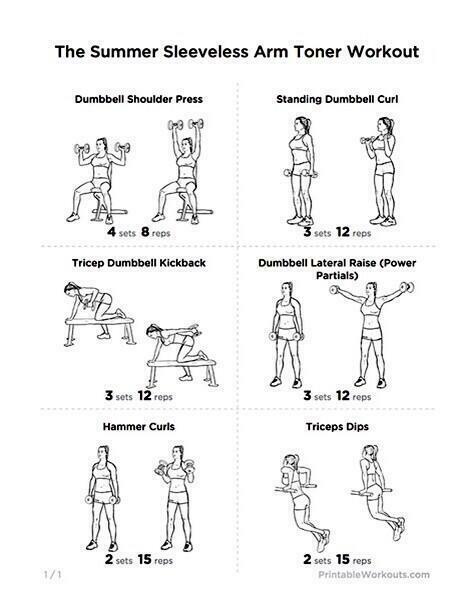 Core strength (abs, back and pelvic) is important here too, so be sure to supplement arm workouts with core exercises. While it is true that running on the treadmill in a gym is different from running outdoors or around a track, claiming that running on a treadmill is inferior to outdoor workouts is definitely false. Both have two entirely different sets of benefits: there is a different atmosphere when you’re outdoors, for the environment, sun and humidity will make you sweat more; on the other hand the treadmill provides you with a constant running speed while outdoors you have to pace yourself. It all depends on individual workout agendas and preferences. Some find it easier to run indoors with time, pace and calories burnt clearly displayed, while others feel more energised and refreshed by the great outdoors. It’s up to you to find your own running niche! If you are unsure of anything at all, like how to use a machine or the weight you should use, please ask Shah the gym instructor! 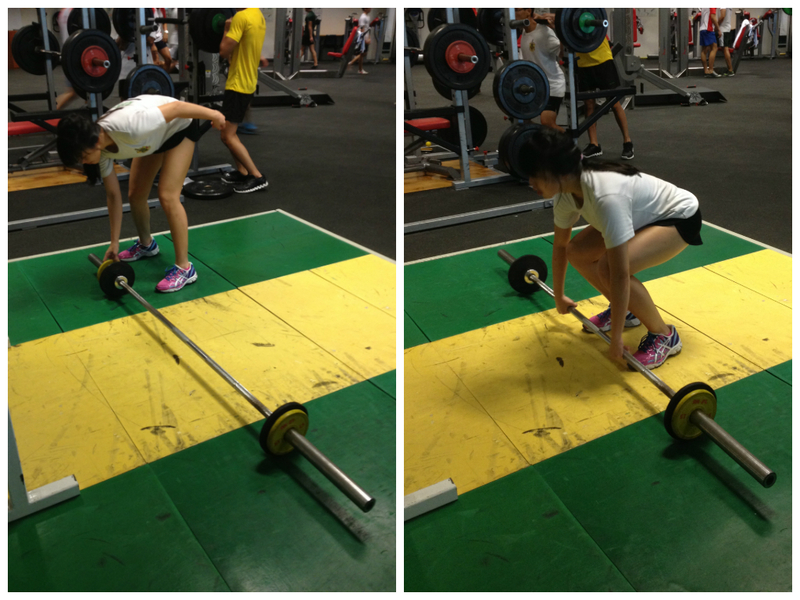 Don’t be shy or afraid of embarrassment; using weights or machines wrongly can lead to injury. Shah is professional and highly knowledgeable, and from personal experience I can assure you that he is most friendly and more than willing to teach. Drink lots of water all day, and maintain a healthy diet with plenty of fruits and vegetables. Processed food (canned, frozen and quick-ready products) is not recommended. After workouts, you can drink milk for a quick nutritional boost! A rule of thumb is to select a weight that allows you to do 3-5 repetitions (reps) of the first set almost effortlessly, after which the strain starts kicking in. Do 3 sets of 10 per gym session. Alternatively, you can approach the gym instructor for some quick coaching. Do not do multiple sets at a go. Make sure to rest and stretch for at least 30 seconds between each set of resistance training. And most importantly, you must be committed. If you want to start a steady workout routine, keep to it! This is especially important for those in a non-sports CCA and without the advantage of scheduled training and exercise. Sporadic gymming will get you nowhere. All forms of workouts strengthen the body and lift the soul, and gymming is certainly not excluded. Even as promos loom and the studying frenzy takes over, always remember to keep fit, be it through a twenty-minute jog or a short gym session! You’ll go home tired and may possibly wake up sore, but the rush of post-workout endorphins, the refreshing energy and the knowledge that you’re steadily getting stronger is the best motivation you can receive, be it for studies or future workout plans. The importance of regular exercise cannot be stressed enough. Remember, the gym doors are always open to any with the heart to start. 5To find the optimal weight to use, refer to the tips section of the article. Well written! Very entertaining and informative at the same time!